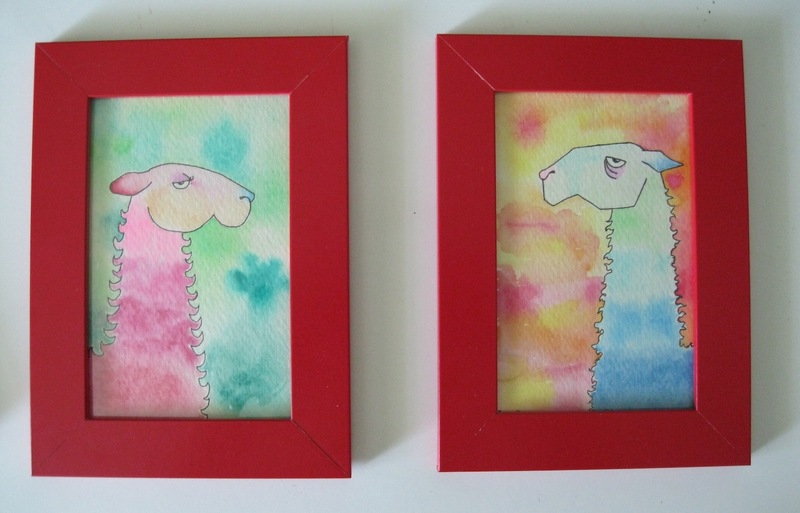 4×6″ Watercolor and Pen in red frames. OMG They are SO funny!The expression on the llama’s face ^^ The red framing fits so well :) Love it! Thank you! I’m thinking of making prints of them.